The 18-year-old Russian figure skater is the favourite to bring home a gold medal at the PyeongChang 2018 Winter Olympics, though she has some serious competition from her teammate, 15-year-old-Alina Zagitova. Medvedeva might not technically end up being the best in the Olympic judges' eyes, she's still very much our ice champion thanks to this jaw-dropping 2017 performance. 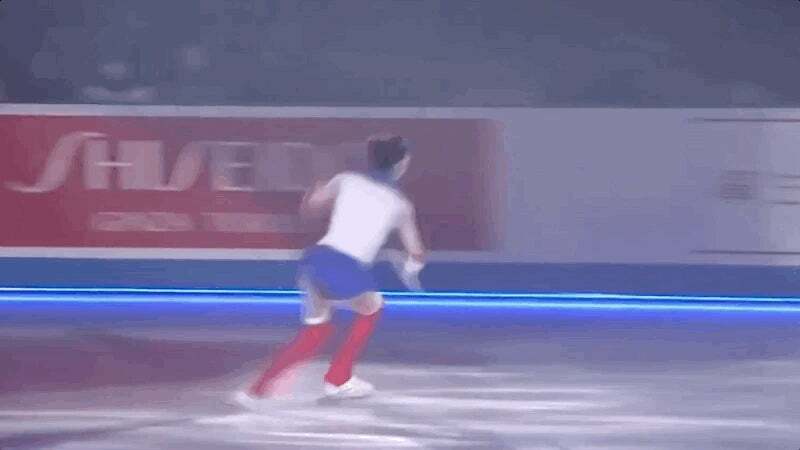 Medvedeva is both an absolute beast on the ice and a die-hard Sailor Moon fan, so it's only natural that she'd combine these two passions into an epic, epic routine. At the 2017 event, she did a full on Sailor Moon reenactment (complete with a magical girl transformation sequence) and placed first. Videos of her performance have been floating around the internet for a while now, but it's even more stunning when you see it synced up in time with the anime itself. Medvedeva's jumps are stunning in and of themselves, but it's nearly unreal just how flawlessly she managed to capture the spirit of the beloved anime. I'd give her points for creativity and effect, but the skating itself takes too long to get going. But what do I know, maybe the coordination scores her more points than I realize. Looked like the long plan where there are, if I remember correctly, 12 components they have to perform. These vary between spins, jumps, steps and so on. usually most of the steps and spins take up the first 60% because they are relatively risk free and coming down hard on a jump early on can affect the rest of the performance. Wardrobe and choreography are also considered, as should there be wardrobe malfunction that can impact negatively and the choreographed sequence is the 'story telling' aspect of the performance which is counted along side matching to music, delivery and so on. Yeah, it's been years since I even paid attention to figure skating, so that makes a lot more sense that she's gunning for the gold. Up there with synchronised swimming in term of why the hell this is an Olympic sport?